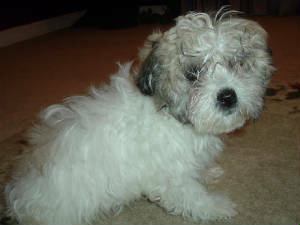 The Havanese is related to the Bichon Frise and may be referred to as the Bichon Havanese or as the Havana Silk Dog. 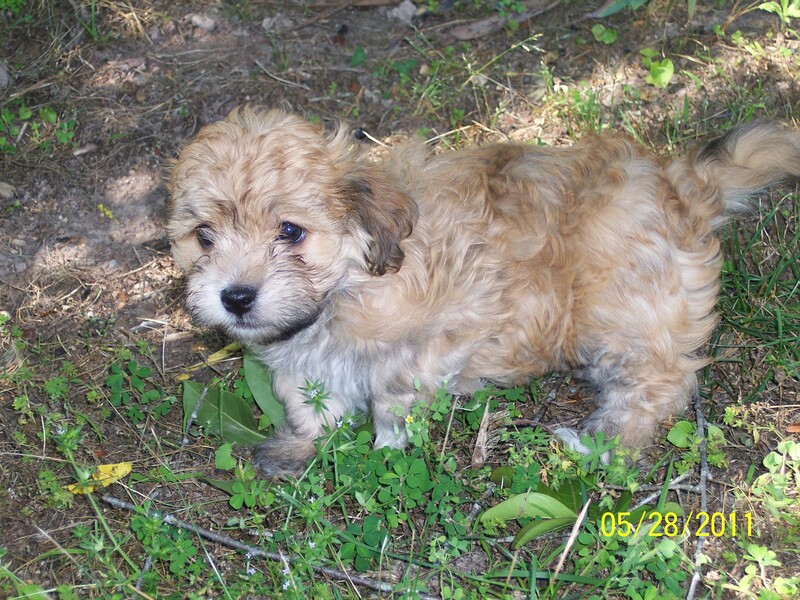 Havanese are known as the National Dog of Cuba. They are a happy, outgoing, small dog whose temperament and trainability have made them excellent candidates for obedience training. Havanese cannot miss what is going on around them, so you may find them sitting somewhere high. They are shy and slightly aloof with strangers, but warm up to their owners plenty. They can be quite vocal as they love the sound of their own voice. They are charming, intelligent and sophisticated in appearance. Havanese are alert, making them good watch dogs. They have been known to guard children, displaying their loving and devoted personalities. They live long lives, are sturdy in strength, and possess a kind spirite. They attach to their owners easily, making them "fantastic little friends." 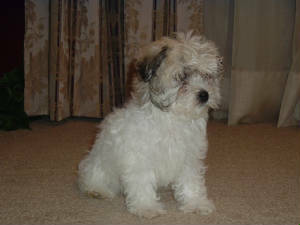 Havanese are a small dog in the Toy category. They have small, but well muscled bodies, covered in profuse soft fur. They can have a little bit of a shaggy appearance, but when brushed, have a distinguished look about them. They have furrowed eyebrows and a beard, the same length as the rest of their fur. They can be a bouquet of colors as well, ranging from cream, gold, silver, blue, black and chocolate, which is sometimes called "tobacco brown". They do need moderate grooming, but no trimming or coiffing is required. 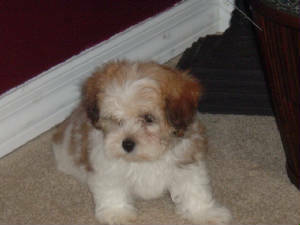 Havanese are gentle, kind little dogs that are ideal for owners who want a little buddy to follow the around. Weight: 7 - 14 Ibs. Colors: White, cream, champagne, black, silver, black and tan, blue, gold, chocolate, parti-color and tri-colored. They can have solid or broad markings of any of these colors. Coat: Long, flat and soft, tufts towards extremities. They have a double coat of long, soft outer hair, and sometimes a curtain of hair over the eyes. Tempermament: Havanese are responsive and friendly. They are intelligent, faithful, and devoted to their masters. They will defend their own, but do not make food guard dogs. They do make good watch dogs, however, because they are alert. They are shy and aloof around strangers, but love their masters. They are natural clowns as well. Havanese are serious and calm at times, affectionate and living to please. They are attentive, quiet and gentle, but still love to play. They get along with almost everyone, including children and other animals. Care & Training: Regular brushing or combing of the Havanese's non-shedding coat will keep them free of tangles. There should be no coiffing or trimminHavanese require minimal exercise, making play sessions an easy outlet for their energy. Special needs: Attention and grooming. Living Environment: Havanese should be indoors with semi-constant companionship. They are not meant to be kept outside or left alone. They are not meant to be kept outside or left alone. The best owner for this breed would be an individual or family who can devote a lot of time to the Havanese, living in a city or suburban environment. Life Span: 14 - 15 years.